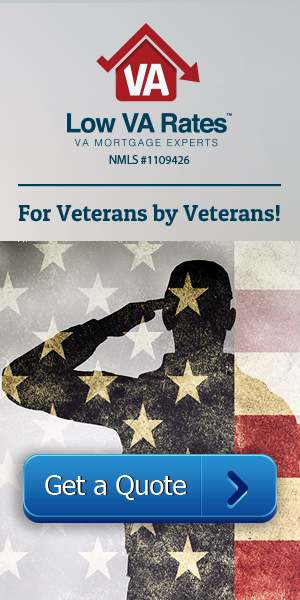 Are you a veteran or military service member ready to purchase a home? The VA home loan process can be a little daunting at first, but thanks to a number of advancements, the VA loan process is a lot simpler than other loan types. Even so, many first-time home buyers have very similar questions. For example: Where do I start? Do I find a realtor? Do I get pre-approved first? Do I find a home I want to buy first? How do I qualify? There is definitely a lot to think about, but knowing what needs to be done and in what order can turn the VA home-buying process from a nightmare to a walk in the park. Although the VA loan process can take anywhere from a few weeks to several months, understanding the different steps can relieve some of the stress. First, you want to make sure you work with the professionals that understand your situation and welfare. Low VA Rates is here to help make the home-buying process as smooth as we can possibly make it for you and your family. Give us a call today at 866-569-8272 to discuss your VA loan options. Before you start the VA loan process, it is imperative that you get your Certificate of Eligibility. Without this, your lender will not be able to approve you for a VA home loan. This certificate simply verifies that you are a veteran and are eligible for VA loan benefits. After receiving your certificate of eligibility, you are ready to start the VA loan process. The first thing you want to do is find a real-estate agent in the area that you are searching for a house. The agent will discuss your loan options and work with your budget and preferences to help you find the right home. Remember to inform your agent that you plan on using a VA loan since military home loans have some different requirements than conventional loans. You will also need to find a lender that you trust and who works in VA loans. The lender will help you get pre-qualified and give you a prequalification or preapproval letter. The lender will need to get some basic information about your income and employment to do a simple review of your financial situation before you apply for a VA home loan. Remember that you will later need to prove that this information is correct in order to actually qualify for a VA loan. The lender will also help you obtain your Certificate of Eligibility from the VA.
Once you find the home you would like to purchase, you should make an offer. Your real-estate agent will help you determine the best offer price that isn’t too low or too high. Again, make sure your agent knows that you are seeking a VA home loan to finance the property since that will likely need to be reflected in the official offer. You may be required to make an earnest money deposit to the seller. This deposit shows the seller that you are interested and allows them to take the home off the market. It can range between two to four percent of the loan amount and is typically held by the title company. If the deal falls through, the deposit can be refunded to you after a small fee is taken out. Once your offer is accepted, you will need to now work with your lender to get approved for a VA home loan. At this point, your lender will ask for specific documents to prove your creditworthiness, such as your W2, tax returns, pay-stubs, and so on. During this process, the lender will order an appraisal and property inspection to ensure that the property is in good shape or to check for any major problems. Once the lender has approved your application and property inspection, they will schedule a closing with the title company at which point you will sign the necessary documents to finalize the loan. The title company will then transfer ownership of the property from the seller to you according to the terms in the purchase contract. Next Section: How Does a VA Loan Work?